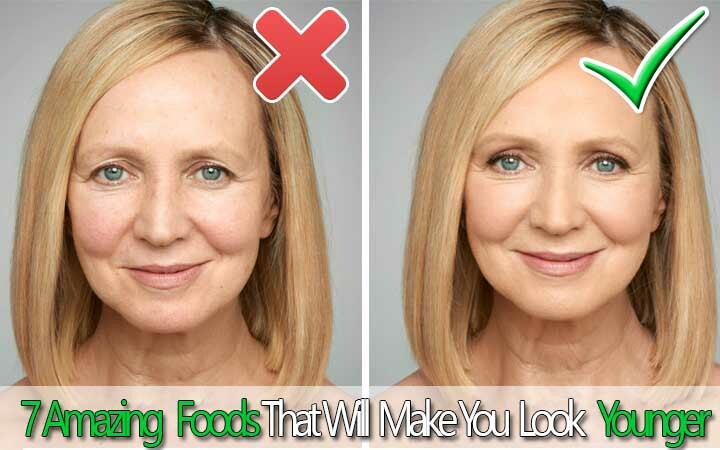 7 Amazing Foods That Will Make You Look Younger - Weakness is a Choice. Many people keep on searching through the top health websites to find valuable information or advice on how to make their skin smooth and radiant. In fact, you can reach that goal by simply controlling what you eat. Although there’s no magical food that would make the wrinkles disappear immediately, there are real foods that can help slow down aging and reduce its signs, in addition to maintaining flawless and soft skin. Choose only the products that are naturally packed with nutrients, such as fish, nuts, fruits, whole grains, veggies, and other kinds of lean protein. Make sure that your diet includes a variety of foods so you can get all the necessary minerals and vitamins. And don’t forget about exercise, sleep, and the sunshine (using a healthy sunscreen). Looking after your nutritional health by sticking to all of these things will absolutely help you feel and look younger. Ready to make your skin glow?